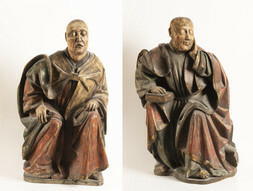 Two Figures of Sleeping ApostlesCarved wood, c. 1500. 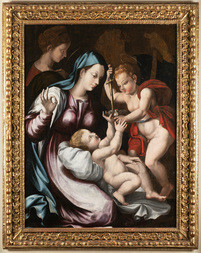 The Holy Family with the Infant John the BaptistOil on wood panel, c. 1590-1595. 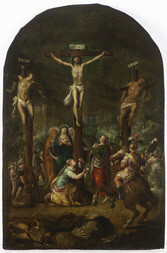 The CrucifixionOil on copper plate, c. 1600. 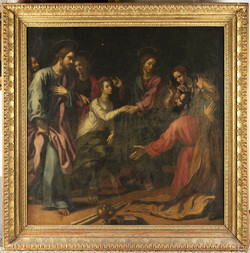 Judgement of MidasOil on wood panel. 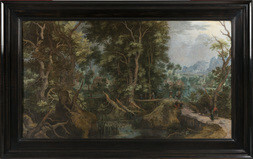 Forest SceneOil on canvas, dated 1607, monogram. 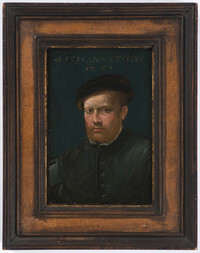 Hans Christoph Schürer (c.1590-1622) - attrib. 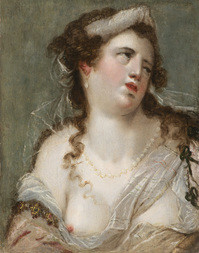 Portrait of a Partly-Clothed WomanOil on wood panel. 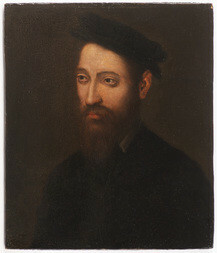 Domenico Cresti Il Passignano (1558-1638) - attrib. 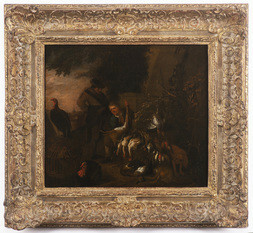 Abraham Van Diepenbeeck (1596-1675) - attrib. 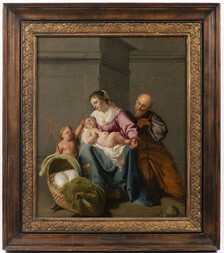 The Holy Family with the Infant John the BaptistOil on canvas. 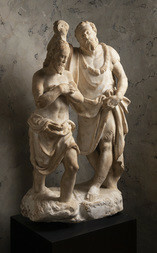 Giovanni Battista Viola (1576-1662) - attrib. 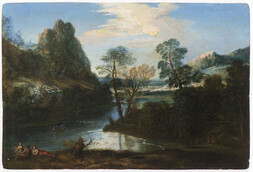 Landscape with RiverOil on copper plate. 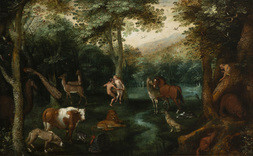 The Garden of Eden and the Fall of Adam and EveOil on wood panel, late 16th/early 17th century. 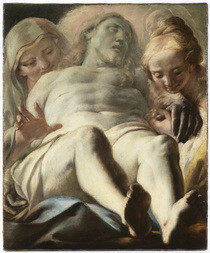 The Lamentation of ChristOil on canvas, c. 1595. 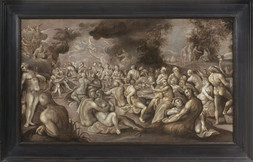 The Wedding of Peleus and ThetisOil on canvas. 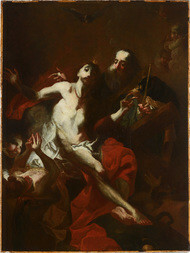 St Jerome and Mary MagdaleneOil on copper panel, c. 1740. 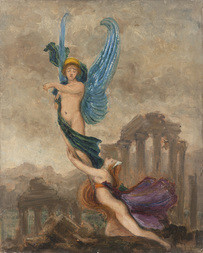 Venus Preventing Her Son Aeneas from Killing Helen of Troy Oil on canvas. 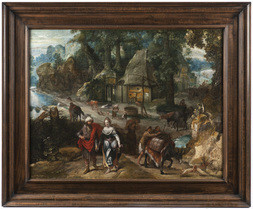 Joseph and Potiphar's Wife Oil on canvas. 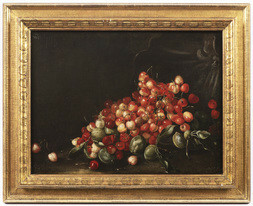 A Pair of Still Lifes With FruitOil on canvas. 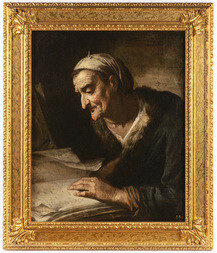 Old Woman with a Book Oil on canvas. 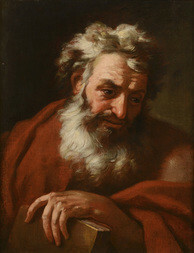 Portrait of a ManOil on wood panel. 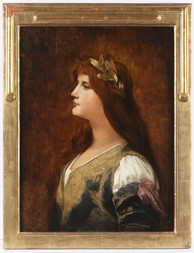 Portrait of a Young GirlOil on wood. 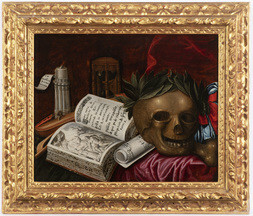 A Vanitas Still LifeOil on canvas. 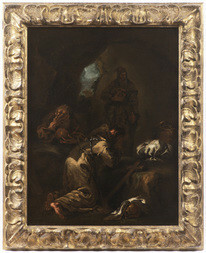 Monks Praying in a CaveOil on canvas. 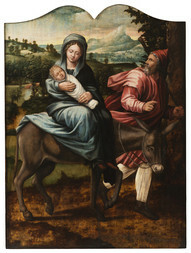 The Nativity of the Blessed Virgin MaryOil on canvas. 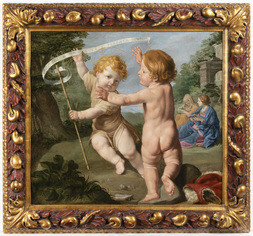 The Infant Christ and John the BaptistOil on canvas. 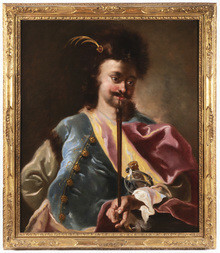 Giovanni Battista II Pittoni (1687-1767) - attrib. 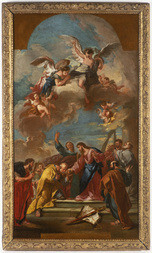 Christ Handing the Keys to St PeterOil on canvas. 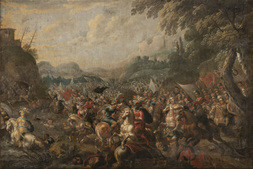 The Battle with the AmalekitesOil on canvas. 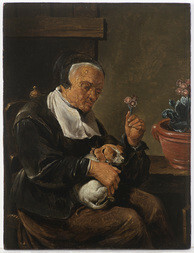 Portrait of an Old Woman With a DogOil on wood panel. 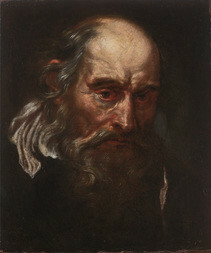 Portrait of an Old ManOil on canvas. 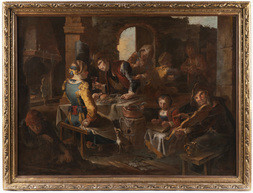 After The HuntOil on canvas. 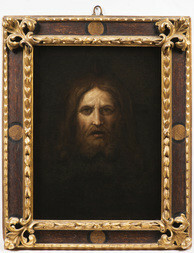 Giovanni Crivelli (1680/90-1760) - attrib. 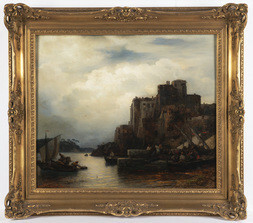 A Pair of Still LifesOil on canvas. 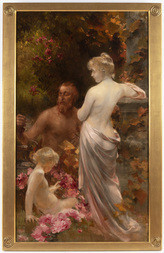 Hamlet in the Clearing with Jacob and RachelOil on canvas. 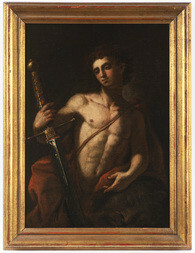 David with the Head of GoliathOil on canvas. 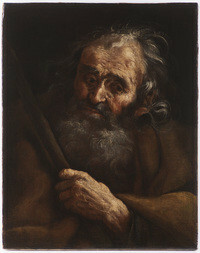 God the FatherOil on canvas. 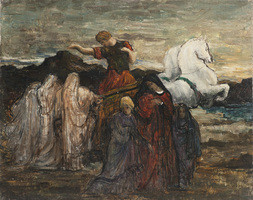 The Flight Into EgyptOil on wood panel. 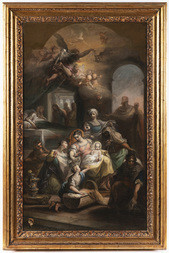 The Raising of Jairus' DaughterOil on canvas. 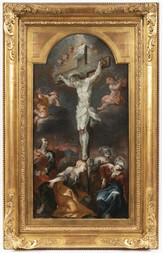 The Crucified ChristOil on canvas. 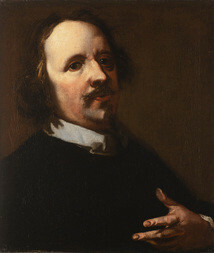 Portrait of a ManOil on canvas. 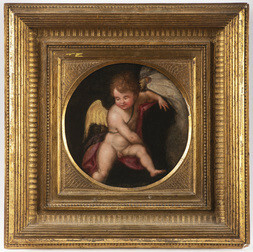 Card PlayersOil on wood panel. 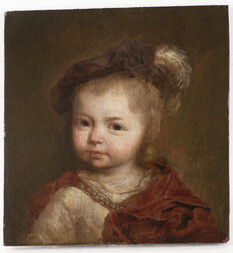 Portrait of a ChildOil on canvas. 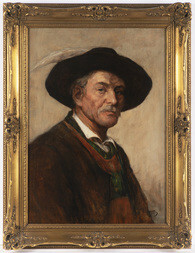 Man with an EggOil on canvas. 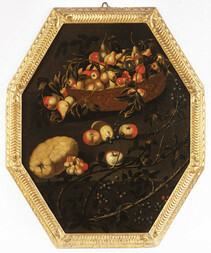 Still Life with FruitOil on canvas. 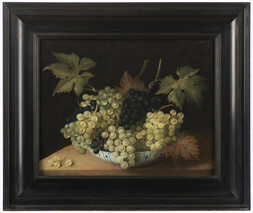 Still Life with GrapesOil on wood panel. 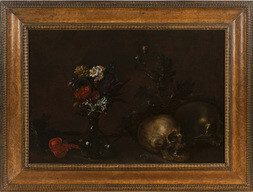 Still Life With CherriesOil on canvas. 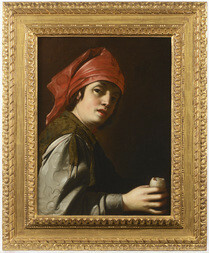 Man with a PipeOil on canvas. 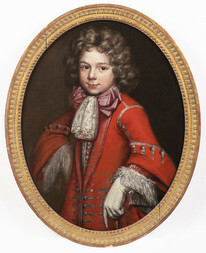 Joseph II Winterhalter (1743-1809) - attrib. 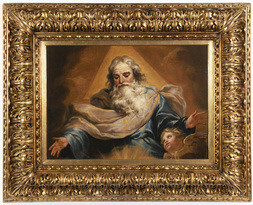 The Holy TrinityOil on canvas. 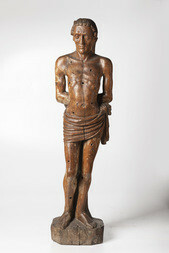 God the FatherCarved sapwood, parcel gilt. 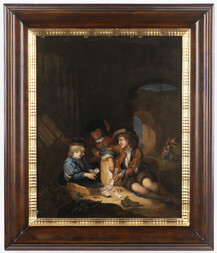 Johann Heinrich Füssli (1741-1825) - attrib. 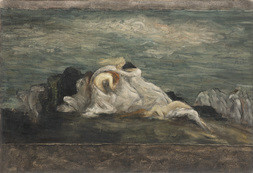 Lear Awakens to Find Cordelia Beside his BedOil on canvas. 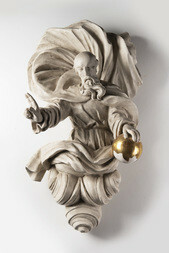 Martin Johann Schmidt (1718-1801) - attrib. 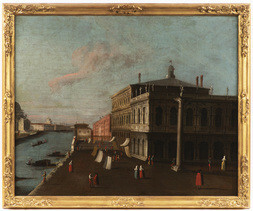 Piazzetta With a View of the Library and the Grand CanalOil on canvas, c. 1790. 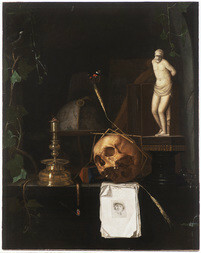 Antonio Canova (1757-1822) - studio, attrib. 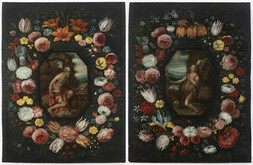 Pair of Reclining LionsMarble, c. 1790-1795. 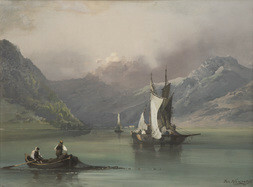 Lake Scene With BoatsGouache on cardboard. 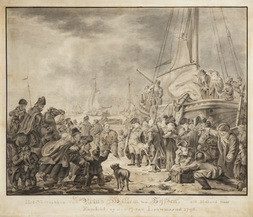 The Departure of William V, Prince of Orange, For EnglandDrawing on paper. 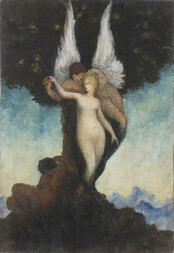 Adam and EveOil on canvas. 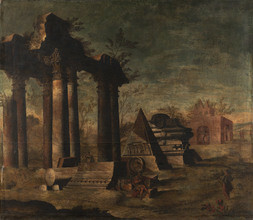 Apotheosis of ArchaeologyOil on canvas. 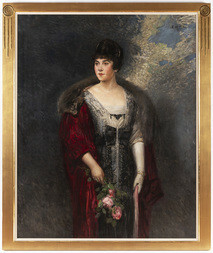 Portrait of a NoblewomanOil on canvas. 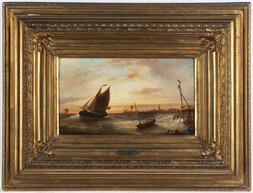 Dutch SeascapeOil on wood panel. 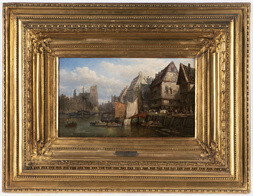 Town ​​on a RiverOil on canvas. 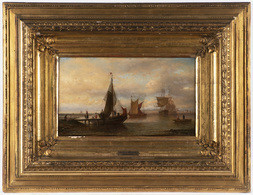 Return of the FishermenOil on canvas. 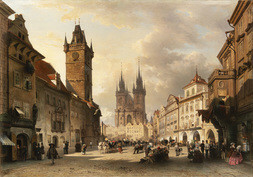 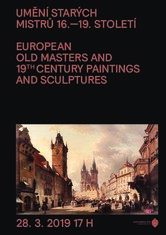 Old Town Square in PragueOil on canvas, dated 1857. 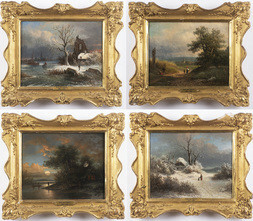 Four Landscape PaintingsOil on canvas. 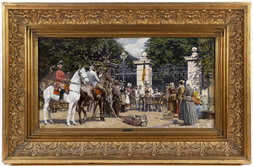 Army RecruitmentOil on wood panel. 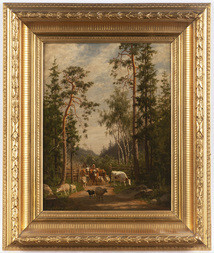 Return From the PastureOil on canvas. 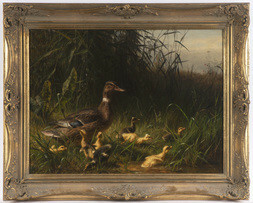 Ducks in the GrassOil on canvas.